Have you ever seen Dirty Dancing? Then you know Baby and Johnny are ready to steal your heart away with their moves! They are playful and curious little bundles of joy that love to entertain. Johnny may take a minute to gain his confidence, but Baby doesn’t need any time to show you how fabulous she is — nobody puts Baby in a corner! Are you in the market for a rip-roaring good time? Then come by the Pixie shelter — you’ll never be sorry you did! 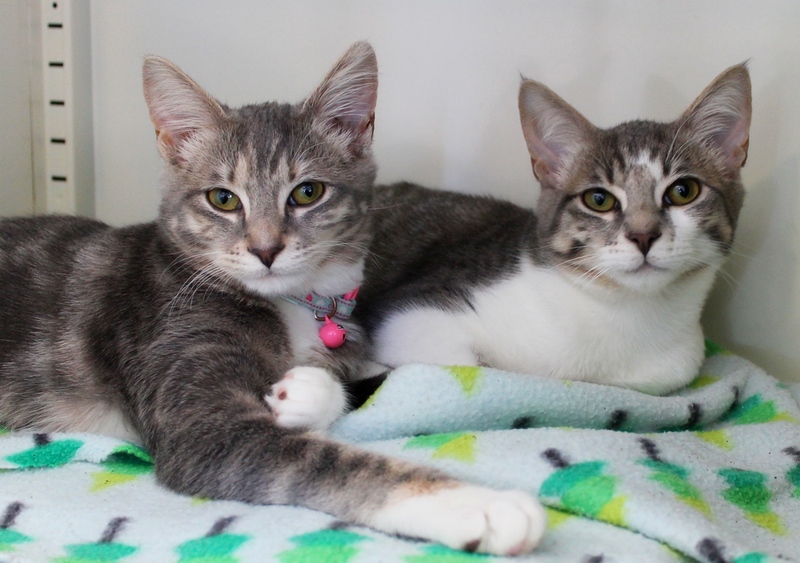 These adorable kitties come to you fixed, vaccinated, and micro-chipped for a combined adoption fee of $243.00 ($135.00 each, with a 10% discount for adopting two! ).